Cant wait to see it, finally some new stuff with Richard. 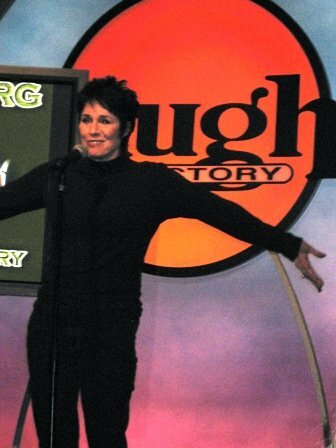 A new feature-film documentary about the pioneers of American stand-up is in the works. Filmmaker R.J. Cutler has bought the movie rights to the recently-published hardback Comedy At The Edge, which charted the early careers of such stars as Steve Martin, Richard Pryor and George Carlin. The book, subtitled, How Stand-Up in the 1970s Changed America, was written by Richard Zoglin, a senior editor at Time magazine. He added that Zoglin has access to several decades' worth of ‘extraordinary’ archive footage, which could feature in the movie – alongside interviews with the key players. do you know when this is coming out? No i dont know. Hopefully soon. Its about time somebody put out some new stuff with Richard. I also heard that when he hosted saturday night live he had two long monoluges. I wonder why now body put this out. Am surw they must have filmed it. archival footage? not on RP...unless he wants a lawsuit! On youtube I have found several clips with Richard that I have not seen anywhere. There was something he did at the improv, that seems to be around that niggers crazy days, and also something he did on the Merv Griffin show. Why dont anybody gather all this unseen fotage and give it out on a dvd? I also read he did two long sets on saturday night live and am sure they must have filmed it. Like with The Richard Pryor show, and that long mudbone routine thats extra material. Its fantastic to see that, and am sure there must be a lot of unseen footage out there? I had one guy block me from messaging on his myspace page cause I kept telling the peole that it wasn't richards official page.